Occasionally says: "How do you kill that which has no life?". Reference to South Park episode "Make Love, Not Warcraft" (season 10, episode 8). Once you reach rep level 3 with her and complete the quest after that, she will give you a portal to your garrison while being your follower. Delvar Punho de Ferro / Vivianne - Beleza abrasadora - Follow through on the breadcrumb quest to Ashran (91~92), at the end you can recruit her. Anyone know if her staff is obtainable by players? I love it! What no one has mentioned is where Vivianne or any of your bodyguards are in your Garrison. First go to Gasganete the Garrison Architect in your Town Hall. Then click on his drafting table to pull up your Garrison buildings. Then click on your Barracks building (which needs to be a level 2 to allow a follower with the bodyguard trait). Then above you'll see an empty circle that says Click to assign a Follower. Simply left click the circle and assign one of the bodyguards that appear in the menu to the left. Then go to your Barracks building and your bodyguard should be in there on the front entrance ramp to the right.. Hope this helps you all, I had a heck of a time figuring this out. Finally had to ask trade chat. 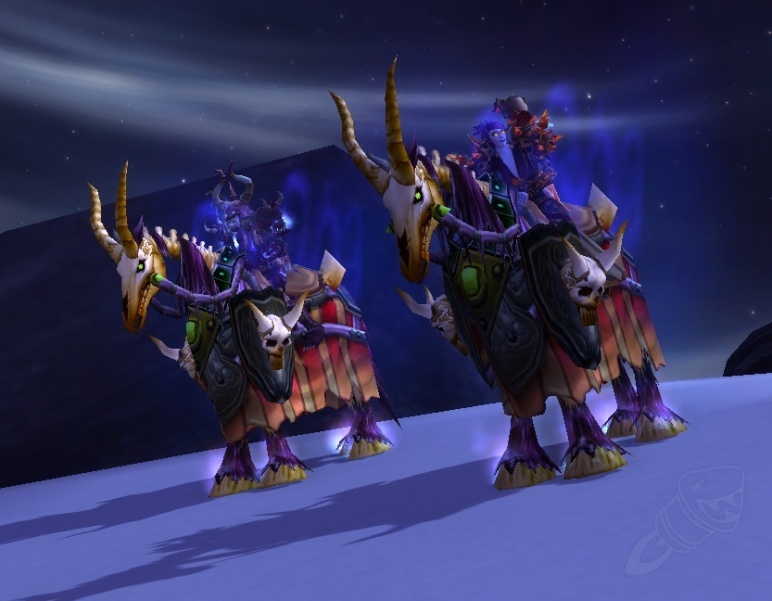 Vivianne's mount is Cavalo de Guerra Descarnado Ocre if you want to match! Vivianne's portal is located at the top of your Tower Of War in the east end of your Garrison. "What would you ask of death?" I ASK DEATH TO STOP STANDING ON THINGS THAT I'M TRYING TO INTERACT WITH. É sua guarda-costas e fica postada em seu quartel. É possível aumentar sua amizade com Vivianne convidando-a para lutar ao seu lado.